As you are all well aware, we LOVE candy in this house. I have been on a fitness journey for awhile now so candy isn't something that I consume on a daily basis but my children and husband...well...they consume it every chance that they get. Did you guys know that June is National Candy Month??? How appropriate now that we are getting into summer...candy and summer just go together so well! 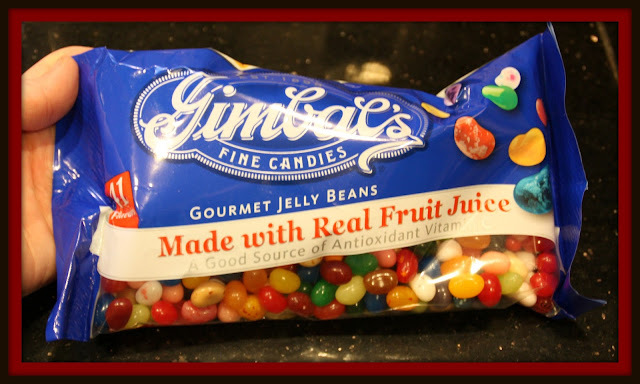 So, for this review I was sent some Gimbal's Gourmet Jelly Beans to try! 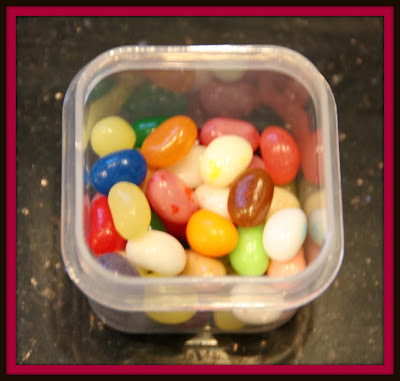 These jelly beans hit the spot any time a snack attack comes knocking and my children love them! Anytime I am in the store and I'm looking for Gimbal's, I just look for the blue bag. They're so easy to spot...I love the packaging. That and you can see the jelly beans right through the package so you can see immediately all the flavors that are in there. YUM! 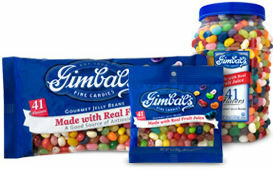 Gimbal's also offers Sour Jelly Beans, Cinnamon Lovers and Cherry Lovers candies as well. I have tried the Cherry Lovers and wow...they are AMAZING! I think it's safe to say that my family and I are huge fans of Gimbal's Fine Candies. We had some friends over recently and when one of my children grabbed the jelly bean bag, they dumped most of the jelly beans on the ground and let me tell you...it was like watching kids when a pinata busts open! Haha! Our friends LOVED the jelly beans too and guess what? I had NO mess to clean up afterwards. There wasn't a jelly bean left. :) Kids and adults with allergy issues have no worries when it comes to Gimbal's so go ahead...eat an entire bag and celebrate National Candy Month with the rest of us!! Oh and when you do, stop on over to their Facebook page and let them know that you are a new fan! They'd love to meet you. I would like to try the Sour Gourmet Jelly Beans. I would love to try the Cherry Lovers. I would like to try the cherry lovers fruit chews. I would like to try the Cinnamon Lovers candy. I would like to get Gimbal's Cherry Lovers fruit chews in 13oz bags. I would like to try the Red Scotties. I would really enjoy the All Natural Licorice Scotties. I've never tried these but they sound delicious. I would like to try the gourmet jelly beans. I would love to try the Cinnamon Lovers and the Jelly Beans, they both look and sound really good. Thank you. I am most excited by their Gourmet Jelly Beans and the fact that they recipes with different flavors to give you specific tastes. How fun! I would like to try the Chewy Cinnamon LavaBalls. I'd love to try the Cherry Lovers candies. I'd like to try the Red Scottie Dogs. I'd love to try the Gourmet Jelly Beans! The Cinnamon Lava Balls sound yummy! We really like the Cherry Jelly Beans. I would love to try the Lava balls. I'd like to try the Cinnamon Lovers Hearts. I would love to try the adorable Licorice Scotties! I would love to try the Cherry Lovers candy! I would love to try the cherry lovers, I always pick that kind first. I would love to try the sour lovers. I would like to try the Licorice Scotties--hopefully they would be as tasty as they are cute! Would love to try the Cinnamon Lovers!! I would love to try the Chewy Cinnamon LavaBalls. I would like to try the Cherry Lover's jelly beans. I would like to try the Licorice Scotties! Great Giveaway! Thanks so much for the opportunity! I would love to try the Cinnamon Lovers. I used to eat those all the time. i want to try the cherry lover's jelly beans. I would love to try their All Natural Licorice Scotties. I'd love to try the Lavaballs. The Gourmet jelly beans would be my favorite. 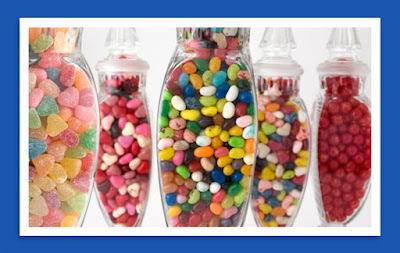 I love candy month and love jelly beans! I would like to try their Cherry Lovers Fruit Chews candies. I like that they are allergen free too! I would like to try their Gourmet Sours. They even have vitamin C!